I'm working on a comic strip series about Radio Controlled airplanes. The first goal is to make 12 three panel strips in color. 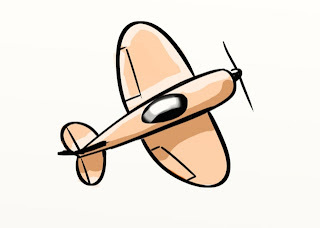 For this airplane illustration I used Artrage for both inking and coloring. The inking pen in Artrage with with a little bit of smoothing (about 10 percent) gives good results I think.